Is Newfield Exploration Co. (NFX) A Good Stock To Buy Right Now? Hedge fund interest in Newfield Exploration Co. (NYSE:NFX) shares was flat at the end of last quarter. This isn’t necessarily a negative indicator. We use the level and the change in hedge fund popularity and compare this with the popularity of other stocks with similar market capitalization. A stock may witness a decline in popularity but it may still be more popular than similarly priced stocks. At the end of this article we will examine the hedge fund popularity of companies such as Dr. Reddy’s Laboratories Limited (ADR) (NYSE:RDY), Michael Kors Holdings Ltd (NYSE:KORS), and Amdocs Limited (NYSE:DOX) to gather more data points. Now, we’re going to take a look at the fresh action encompassing Newfield Exploration Co. (NYSE:NFX). 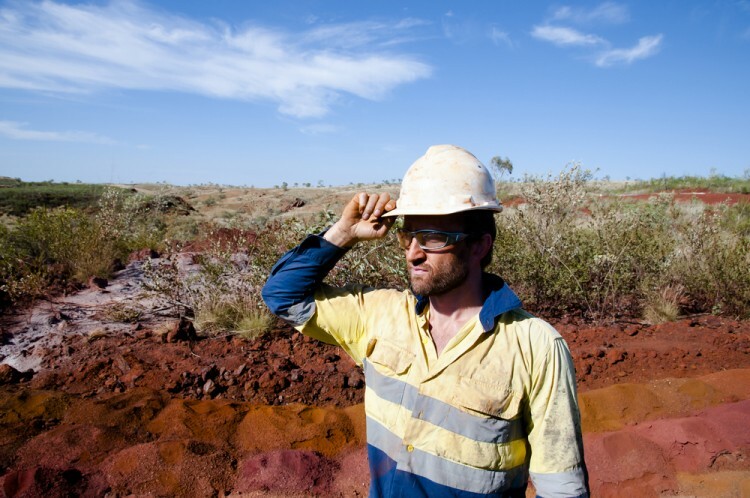 What does the smart money think about Newfield Exploration Co. (NYSE:NFX)? At the end of the third quarter, a total of 45 of the hedge funds tracked by Insider Monkey held long positions in this stock, unchanged from one quarter earlier. 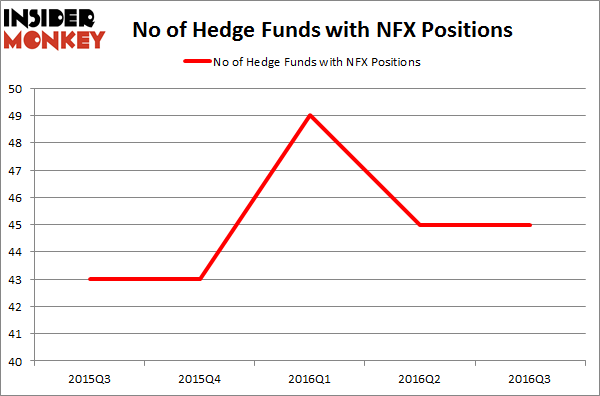 NFX was at peak popularity during the first quarter of this year when it was trading below $30. With the smart money’s sentiment swirling, there exists an “upper tier” of key hedge fund managers who were upping their stakes substantially (or already accumulated large positions). According to publicly available hedge fund and institutional investor holdings data compiled by Insider Monkey, Conatus Capital Management, run by David Stemerman, holds the most valuable position in Newfield Exploration Co. (NYSE:NFX). The fund reportedly holds an $88.5 million position in the stock, comprising 5.8% of its 13F portfolio. Sitting at the No. 2 spot is Carlson Capital, managed by Clint Carlson, which holds a $73.9 million position; 0.9% of its 13F portfolio is allocated to the stock. Other hedge funds and institutional investors with similar optimism include Anand Parekh’s Alyeska Investment Group, Cliff Asness’s AQR Capital Management and John Overdeck and David Siegel’s Two Sigma Advisors.